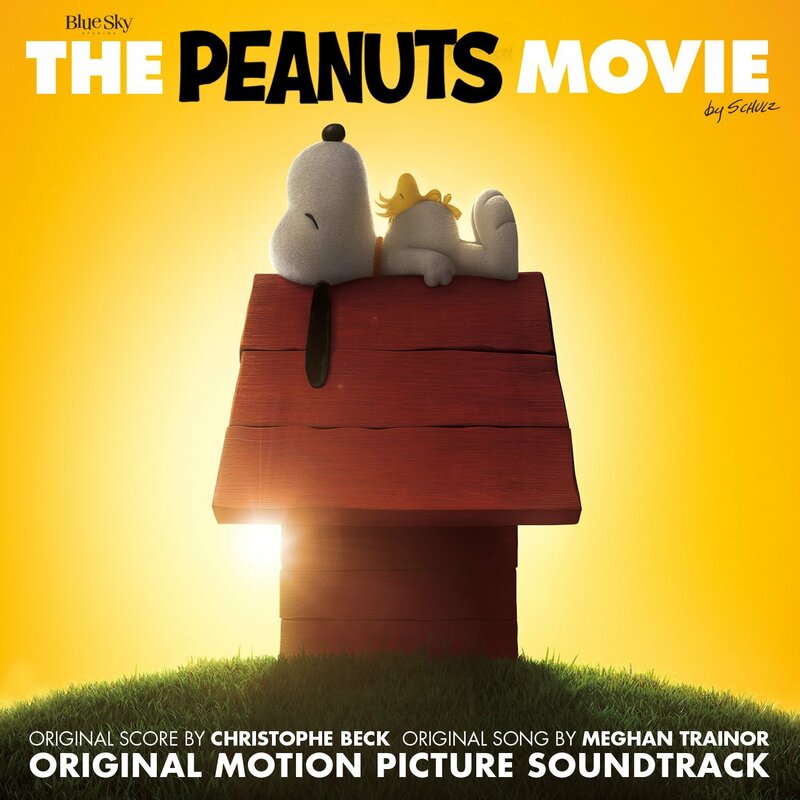 Discussions Magazine Music Blog: PEANUTS MOVIE Soundtrack information! (Oct. 14, 2015 - New York, NY) – Epic Records and 20th Century Fox announce the release of The Peanuts Movie Original Motion Picture Soundtrack in stores and at all digital retailers October 23, 2015. The first single “Better When I’m Dancin’” is a new original song from Grammy Award-nominated multi-platinum global superstar Meghan Trainor. Meghan wrote the song for the film and the song perfectly conveys the endearing and timeless essence of The Peanuts gang with a sweet signature melody. The film is in theaters everywhere November 6. In addition, the Soundtrack includes Flo Rida’s “That’s What I Like” [feat. Fitz] and newly re-imagined recordings of Vince Guaraldi classics by Emmy Award-winning composer Christophe Beck [Frozen, Pitch Perfect¸ Buffy the Vampire Slayer]. Beck breathes new life into favorites such as “Linus & Lucy,” “Skating,” “Christmas Time Is Here,” and more as well as original score. Yesterday, Meghan received 3 American Music Award nominations for Artist of the Year, Favorite Female Artist – Pop/Rock and Favorite Artist – Adult Contemporary. The 2015 American Music Awards will broadcast live from the Microsoft Theater in Los Angeles on Sunday, November 22 at 8:00pm ET on ABC. Today, Trainor granted her first interview since undergoing vocal cord surgery this summer. She appeared on The Ellen DeGeneres Show to reveal the Soundtrack details and personally premiere a sneak peak of the music video for “Better When I’m Dancin’.” She also gave a very special performance of “Like I’m Gonna Lose You” with John Legend. The full video of “Better When I’m Dancin’” can be seen first on Meghan’s Apple connect page today and will make it’s wide VEVO premiere Friday, Oct. 16th, at 10am EST. Get ready for the most fun soundtrack of 2015.